Blazer: H&M, Top: F21, Jeans: Marciano, shoes: VS, purse: thrifted, Jewerly: vintage, Flea market, & NY street vendor. Tus pantalones y tus zapatos son maravillosos. 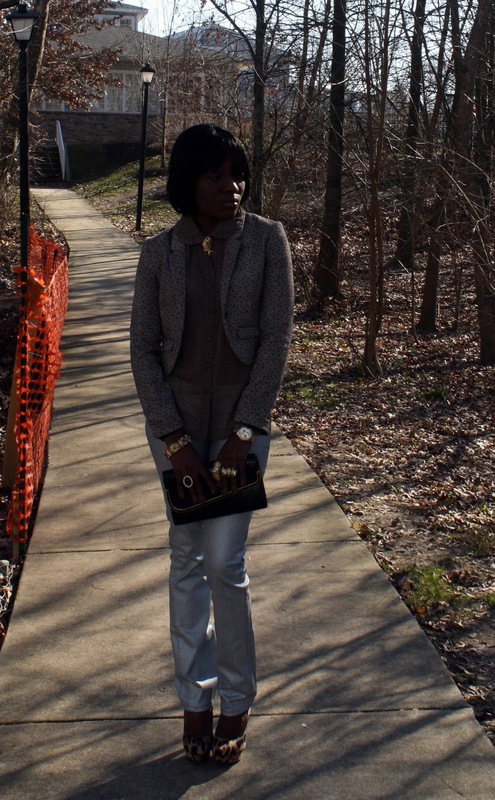 I love everything, blazer, pants, top, shoes...everything...Tsmstyle. I love anything polka dot, and that shirt is adorable! I love the blend of patterns - GREAT outfit! I am always in love wit your outfits and your jewels! This last one is so classy!!! Nice outfit. It looks great on you. Love, love, love!! Such a nice and unexpected combination....well done dear! 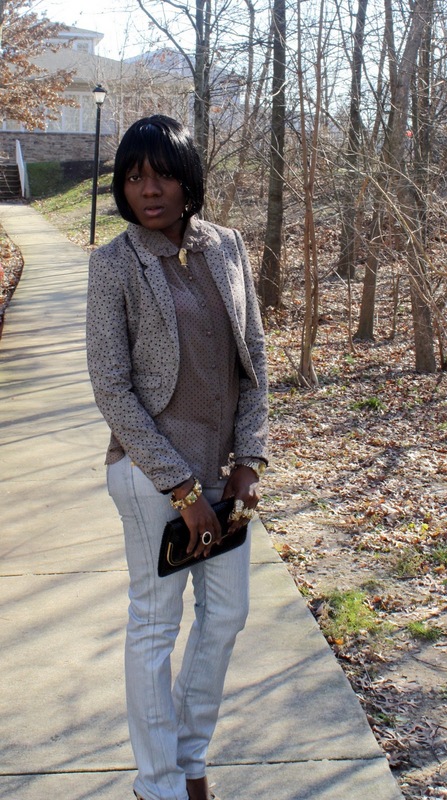 Love the mix of prints in the blouse and blazer! Want,need, have to have that blazer! I love the shoes with those jeans . This is awesome!!! I love that blazer and the heels too :) I need to check out the footwear at VS! I absolutely adore this look. It's sophisticated and chic! Love the color palette. Thank you so much for the follow, love. It was greatly appreciated and of course you definitely got a new follower. 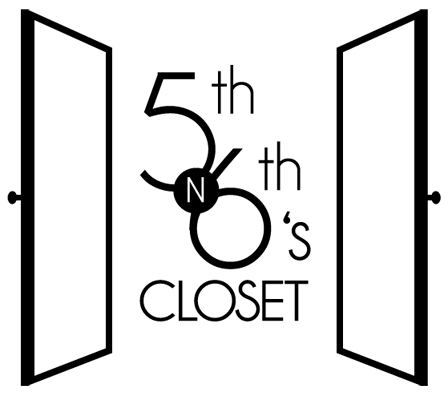 Don't be a stranger! A very beautiful look! Love the dots blouse and jacket. And all those gorgeous accessorises rock the look! 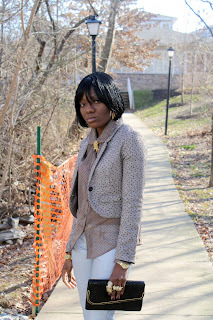 Oh wow...I need that polka dot blazer!!!! So cute! Gorgeous look! Every detail is perfect! Thanks so much for leaving such a sweet comment on my blog! I am glad you like the quote! amazing outfit, love the silver pants, looks great on you!!! We love this look! It's suuuper chic and just really lovely! The monochrome is classically beautiful and all of your gems are so fun! love your jacket and all your acessories!